Samsung today unveiled the Samsung NX Android-powered camera that features interchangeable lenses allowing users to switch between DSLR and standard lenses. 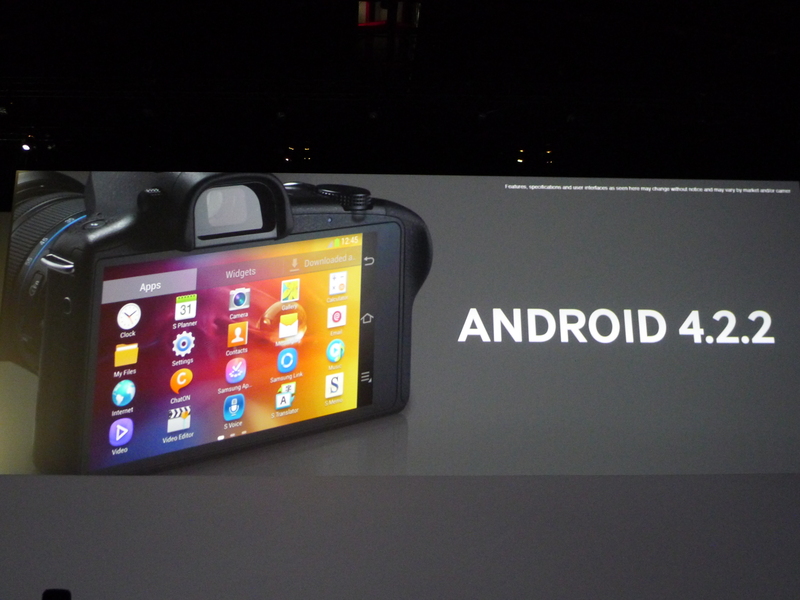 The Android Jelly Bean based device comes with a 20.3-megapixel sensor “for the best photo possible in any environment” which uses a hybrid autofocus system that “takes the best of autofocus from DSLRs and compacts”, Samsung said. Of course, given that it uses Google’s mobile OS, its specs are more like that of a smartphone than a camera and include, among others, a 4.8-inch HD TFT and a 1.6GHz quad core processor. It also handily includes 4G connectivity allowing you to upload your snaps, or check your email, from anywhere. Read next: Live now: Convene founder answers questions via video. Get involved!